Wondering if the pig in front of me was someone’s pet, Four H Project, or close and personal friend, I posted on Facebook the following. Later in the afternoon one of my saner and more tactful friends posted that someone else had posted about a truly ugly dog that had showed up on their doorstep. Someone then broke the news to them that their new ugly dog was, indeed, a pig. It turned out that the person with the ugly dog was our next door neighbor. My very first thought was, “I wonder how Zeus and Zooey (their dogs) were going to react to all of this. This whole thing could get very interesting. It is now the next day and I have not heard a bark, a squeal, or a frying sound from next door. I’m sure that there has to be a next chapter to this story. I’m just not sure if it will be a tragedy, a comedy, or just brunch. After a few days I had hoped to know the fate of the pig, but I have neither seen, heard, or smelled anything. Even the faint aroma of pork chops would have told me something. The only thing I have noticed is that the neighbors have a new dog. 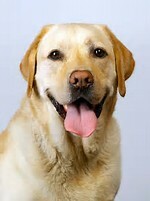 Not a black and white ugly dog, but a cute yellow lab. I don’t think they could have pulled off a Trans-Species procedure that quickly. 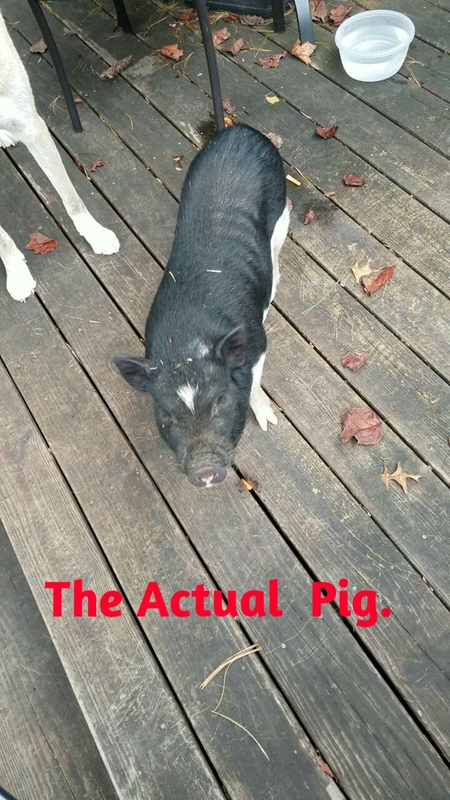 So, all I can say is, “Wherever you are, Little Pig, I hope you are safe and happy. Don’t forget to write if you find work. My daughter had a pet pig named Otto. We all loved him to bits. We no longer eat pork. Hope your new found friend is OK. The last I heard Animal Control picked it up. A winner, John. 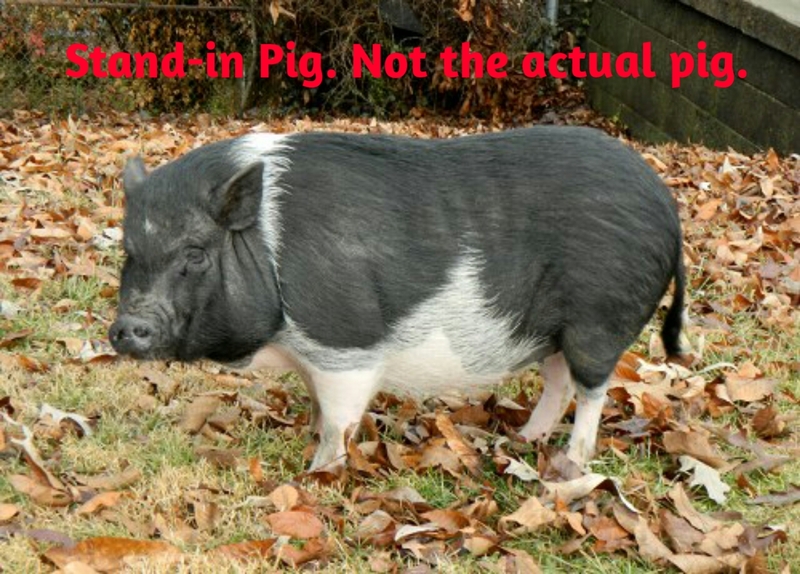 Poor pig… let’s hope the smell of bacon isn’t in the air. Ha!